Whether you are an old hand at the weight loss game, or have, at the very least, been on a diet before, the following scenario may sound all too familiar. Determined to succeed, you vowed to go about slimming down the "right" way. You stopped eating red meat, cooked egg-white-only omelettes with no shortening in a Teflon pan, removed the skin from chicken, ate your baked potato without butter or sour cream and consumed lots of pasta. Frozen yogurt, fruit and sherbet served as dessert. Your breakfast consisted of oatmeal and skim milk or else granola and a banana. A typical lunch was white-meat turkey on a roll and a generous salad, hold the dressing. And you stuck with your low-fat regimen. You knew it was the right diet because your friends and family congratulated you on your healthy habits. Yet somehow it never felt quite right for you. Nor did it ever work the way you thought it would. You found that you weren't quite satisfied eating this way: You were often hungry and low in energy andworst of all-permanent, significant weight loss proved elusive. You never actually achieved the goals that motivated you to go on a diet in the first place. Here's the good news: Most of you will now find that your frustrations are about to end. I have helped tens of thousands of people who have come to me needing to lose weight and improve their health. And I promise I will help you, too. • be freed from hunger much of the day? • eat until you are pleasantly satisfied and full? • enjoy foods so rich that you've never seen them on any other diet? • reduce your appetite via a perfectly natural metabolic function of the body? • never have to count calories again? • eliminate addictive food patterns? 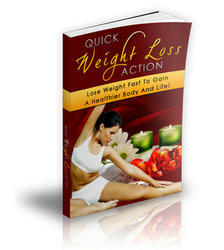 • experience steady weight loss, even if you have had dramatic failures or weight regain in the past? 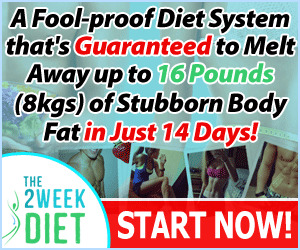 • learn a way of eating that will keep any lost weight from coming back? • feel better than you have in years? • improve health problems that have accompanied your excess weight? • minimize your risk factors for certain diseases? • slow the aging process? What happens to real people with real problems when they follow the Atkins Nutritional Approach? Well, let me give you a far from atypical example. Traci Laurens, a 44-year-old restaurant manager and mother of two, had always considered herself a "big-boned girl:" Over the years she'd tried many a diet, but her weight continued to oscillate between 190 and 230 on her five-foot four-inch frame. Fortunately, Traci was not experiencing any health problems, and, in spite of her weight, she walked every day. "I had occasional headaches but no real problems other than the fact that I hated to look in the mirror," she recalls. "I did what all overweight people do: I focused on my face and never stood back and took a long look. My problem was that I couldn't get away from carbs; I craved them. I had been raised on starches and sweets. I am from a family of twelve and that's how my mother stretched meals. I didn't know any other way of eating. "In 1998, I met my fiance, Jack. He fell in love with the size- 16 me, but I had really gotten tired of being fat. A friend told me about Dr Atkins' New Diet Revolution. I read it cover to cover, and on New Year's Day 2000 I began Induction. I broke through my carb addiction sometime in the first week, and from that point on, doing Atkins was easy. Thirty days later I moved from Induction to OWL [Ongoing Weight Loss], having dropped to a size 13." Traci and her fiance had planned two romantic back-to-back cruises in February 2000, a slow time at both their jobs. Even though cruises are floating smorgasbords, Traci stuck to protein and fat and passed up most of the carbs. After the first one-week cruise, she was wearing size 9 or 10 and had to buy some new clothes. At the end of the second cruise, she weighed 146. Newly invigorated, she increased her walking routine to one and a half hours a day. And, like most people, she found that exercise kept her head clear, relieved her anxiety and restored her energy. Traci has stuck to about 30 grams of carbohydrate daily because she feels good on that level. That way, when she wants to indulge herself a bit, she has some "wiggle room" in case she gains a few pounds. She says she doesn't miss starches at all and hasn't had a piece of bread since December 31, 1999. Traci plans to continue with Atkins because she now understands it is a whole life change. "With Atkins, I easily keep my weight between 133 and 139 pounds," she says. "I know how quickly 70 pounds can go on. But now I also know the secret to how quickly they can come off."